Asim's practice focuses on insolvency and restructuring law, guiding a client through informal workouts, formal restructuring proceedings and special situations with a creative and practical approach to problem solving. Asim has substantial experience representing a broad range of stakeholders in informal workouts and formal proceedings under the Companies' Creditors Arrangement Act and Bankruptcy and Insolvency Act, including financial institutions, secured creditors, purchasers, court officers, directors, bondholders, landlords, suppliers and unsecured creditors. Asim has developed expertise representing stakeholders and court officers in troubled construction projects and cross-border insolvency matters. 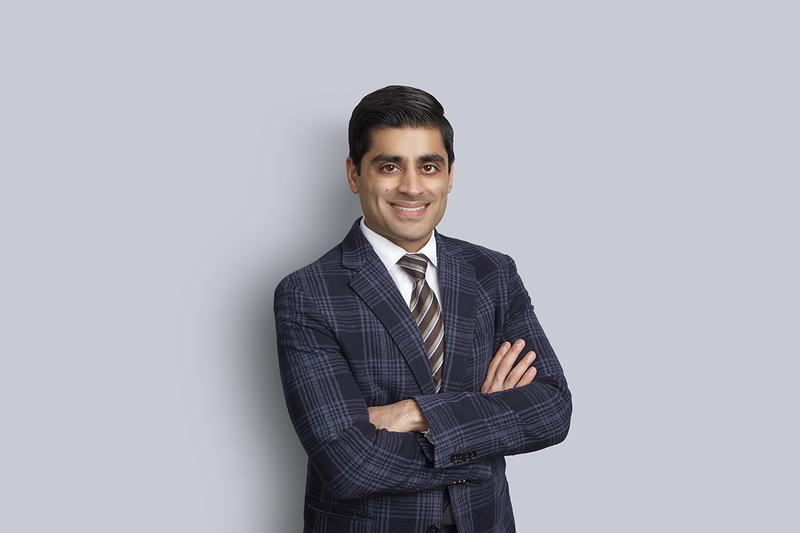 Prior to joining Miller Thomson, Asim practiced as an associate at a premier insolvency and restructuring boutique in Toronto, acting in a lead role representing clients on significant mandates in high profile and complex restructuring proceedings both in Canada and in cross-border matters. Asim applies his depth of knowledge, experience and contacts to cost-effectively solve clients’ problems. In addition, Asim’s entrepreneurial and business experience as a Co-Founder of a Canadian technology company specializing in software solutions for the Canadian legal industry gives him an appreciation for the challenges faced by entrepreneurs. Counsel to the senior secured lender, interim lender and purchaser in the receivership of KGIC Inc.
Canadian Counsel to Chapter 11 Debtors in the Canadian recognition proceedings of the US Chapter 11 proceedings commenced by Square Two Inc. Counsel to landlord, a significant affected creditor in the CCAA proceedings of Travelbrands Inc. Counsel to 4519922 Canada Inc., the debtor company in the restructuring of the former Coopers & Lybrand Partnership. Counsel to the senior secured creditor in the CCAA proceedings of Mady Collier Centre Ltd. Counsel to the court-appointed Receiver in proceedings commenced by Emmanuel Village Residences Inc. under the Courts of Justice Act. Counsel to the court-appointed Monitor of The Futura Loyalty Group Inc. Founder and Director, Blue Cloud Apps Inc.